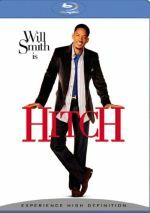 Since 2008, Will Smith has kept a relatively low cinematic profile. He starred in two commercial disappointments via 2012’s Men in Black 3 and 2013’s After Earth. Otherwise he only played cameo parts in 2013’s Anchorman 2 and 2014’s Winter’s Tale. 2015’s Focus> brings Smith back as a leading actor. From a multigenerational family of con men, Nicky (Smith) perpetrates a wide variety of scams. After he catches Jess (Margot Robbie) in a swindle, he takes her under his wing and allows her to participate in a massive series of schemes across football championship week in New Orleans. Along the way, Nicky and Jess turn into more than just business partners, but the relationship doesn’t progress on a standard path. We follow their ups and downs along with other cons along the way. When modern movies tell tales of con men and fancy robberies, they inevitably bring 2001’s Ocean’s 11 to mind. That star-studded hit formed the template for current attempts at the genre, so it becomes tough not to compare other films to Ocean’s. 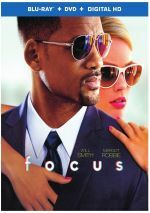 Even if I try to disregard Ocean’s as I think about Focus, I still think the latter comes up short. It starts out pretty well and offers some slick fun, but it drags as it goes and doesn’t match the bubbly charms of Ocean’s or other fun heist flicks like Now You See Me. Perhaps the biggest problem with Focus comes from its constant depiction of schemes. While other flicks in the genre like to toy with the audience a bit and throw out the occasional surprise, Focus consists of nearly nothing but twists and turns, and those mean the viewers may find it difficult to concentrate on anything else. This occurs because the audience constantly wants to stay ahead of the movie and predict where it’ll go. Again, some of that can be fun, as it’s enjoyable to try to figure out the curveballs. Unfortunately, all of these twists make it impossible for the viewers to trust anything they see. The audience maintains a detachment from the characters and narrative because of the constantly shifting landscape. When we can’t trust anything we see or hear, we keep the material at arm’s length. That’s acceptable to a point, but Focus wants us to buy into the characters to a degree we never do. We’re so busy trying to figure out the schemes at work that we don’t concentrate on anything else. It doesn’t help that Smith and Robbie lack much chemistry. Both look great, and even though Smith is literally twice as old as Robbie, we buy her attraction to him. Nonetheless, they never mesh, so as an on-screen couple, they don’t deliver much passion or spark. They show a modicum of charm but not enough to turn into a workable pair. Honestly, Smith seems a bit bored with the material. He’s played so many slick charmers across his career that he could portray Nicky in his sleep – and that might be what he did. Smith’s natural charisma means he still entertains somewhat, but he fails to deliver the kind of lively turn he might’ve done 15 years ago. Despite its flaws, Focus comes with enough cleverness to ensure that we stay with it – most of the time. Unfortunately, the longer it goes, the more it drags, and that’s not a good thing. Focus appears in an aspect ratio of approximately 1.85:1 on this Blu-ray Disc. The transfer made the movie look like the slick production it was. Sharpness remained strong at all times. No signs of softness ever marred the presentation, so it stayed concise and accurate. Moiré effects and jaggies caused no concerns, and I saw no edge haloes. As expected, the movie lacked print flaws. In terms of colors, Focus opted heavily for blues and greens. Occasional yellows/oranges/red also appeared, but those blues/greens ruled the visual roost. I wasn’t wild about those choices, but the Blu-ray reproduced the hues well. Blacks seemed deep and tight, and shadows appeared smooth and clear. The Blu-ray provided a consistently impressive presentation. As for the film’s DTS-HD MA 5.1 soundtrack, it fleshed out the narrative well. The soundscape favored environmental material, but the action took place in enough lively settings to create an evocative sense of place. With New Orleans street scenes, pro football games, car races and other big locations, the track used the five speakers in an engulfing way. Audio quality seemed positive. Speech remained concise and distinctive, without edginess or other issues. Music sounded vivid and full, and effects came across as accurate and dynamic. This wasn’t the most ambitious mix, but it satisfied. Three featurettes dominate the disc’s extras. Masters of Misdirection: The Players in a Con runs 10 minutes, 25 seconds and offers notes from consultant Apollo Robbins, writers/directors Glenn Ficarra and John Requa and actors Margot Robbie, Will Smith and Adrian Martinez. “Masters” gives us notes about the sorts of cons/thefts seen in the movie and their basis in real-life. The short offers a fun look at the facts behind the material. 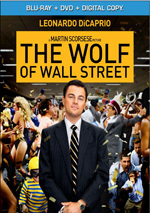 The other two featurettes concentrate on the movie’s stars. We get Will Smith: Gentleman Thief (5:52) and Margot Robbie: Stealing Hearts (4:08). In these, we hear from Smith, Requa, Ficarra, Robbie, Robbins, and producer Denise Di Novi. The shorts look at cast and characters. A few minor details emerge, but the programs mostly offer fluff. The set features four Deleted Scenes (8:02) and an Alternate Opening (2:44). The first and fourth extend existing sequences, while the second shows a quick bar trick Nicky uses. Sequence three offers some alternate dialogue. Only scene two seems like an interesting addition. The “Alternate Opening” lets us see one of Nicky’s scams that doesn’t appear in the final cut. It’s a fun scene but I think the existing opening works better, as it keeps Nicky’s role “secret” a little longer. If the “Alternate Opening” made the final film, Nicky’s initial encounter with Jess wouldn’t have worked as well. The disc opens with ads for San Andreas and Entourage. No trailer for Focus appears here. A second disc offers a DVD copy of Focus. It includes the deleted scenes but lacks the alternate opening and the featurettes. At worst, Focus offers a slick, pleasant diversion. At best, Focus offers a slick, pleasant diversion. The movie does enough to keep us entertained but it never quite meshes to the degree I’d hope. The Blu-ray offers strong picture and solid audio but lacks substantial supplements. Parts of Focus work well but the movie doesn’t come together in a manner that keeps it enthralling across its whole running time.